Southbury hunters - arrested in October 2018 for illegal jacklighting of deer - have been arrested again after new evidence surfaced. Eftihios Marnelakis, 23, was charged with the following violations: Making false statement, interfering with an officer, illegal transport of deer killed or hit by motor vehicle without a permit, violation of conditions of release, jacklighting deer, failure to report deer kill, negligent hunting in the second degree, negligent hunting in the third degree, negligent hunting in the fourth degree, conspiracy to commit negligent hunting in the second degree, conspiracy to commit negligent hunting in the third degree, conspiracy to commit negligent hunting in the fourth degree and conspiracy to commit illegal sale of game. Southbury hunters - arrested last October for illegal jacklighting of deer - have been arrested again. Jacklighting uses spotlights, lamps or flashlights to attract animals at night. The animals often stop and continually stare at the light that does not appear to be a threat. Illegal hunters then use that opportunity to “harvest” the animal. DEEP’s EnCon Police with the assistance of U.S. Fish and Wildlife Service, recently arrested the three and another person, following a two-month long investigation. The investigation began after Mihali Marnelakis, 20; Eftihios Marnelakis, 23; and Jacob Parsell, 22; were arrested by DEEP EnCon Police on Oct. 22 for multiple violations including having a loaded weapon in a motor vehicle and jacklighting. In that October arrest, State EnCon Police and Woodbury police have received numerous complaints of illegal deer hunting after sunset near the Roxbury Airport. A Woodbury police officer was conducting a patrol check of the area after midnight when they observed a vehicle traveling along Route 317 with the occupants actively shining the open grass fields, an area frequented by deer, where deer are known to be present, and a prime deer habitat. The officer suspected the occupants of illegal deer jacklighting and conducted a motor vehicle stop in Roxbury. The stop led to the three’s arrest. DEEP EnCon Police continued their investigation and later obtained search warrants for the cell phones of the three, which resulted in further evidence of illegal jacklighting activity. During the week of Jan. 6, Mihali Marnelakis, Eftihios Marnelakis, Jacob Parsell, and Ryan Smith, 30,. Southbury turned themselves into Troop A in Southbury. 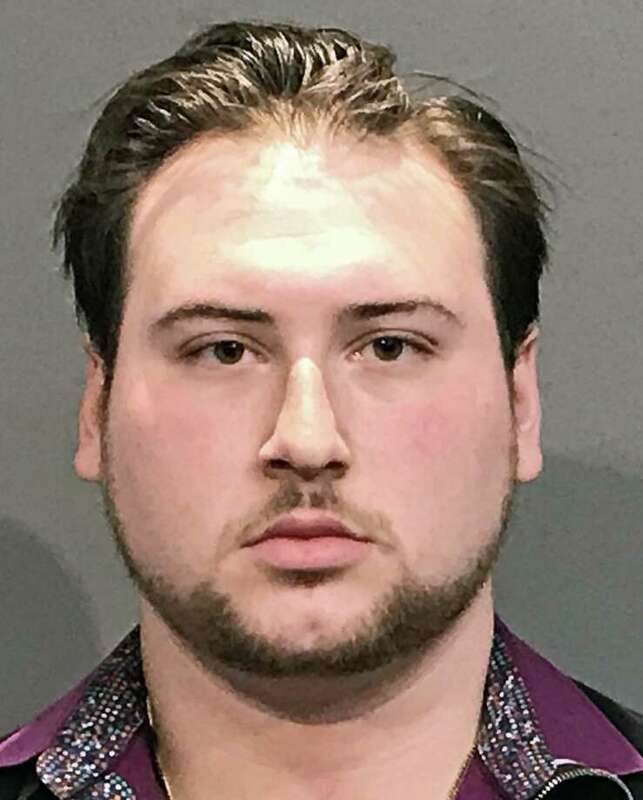 Mihali Marnelakis was charged with the following violations: Making false statement, interfering with an officer, jacklighting deer, failure to report deer kill, conspiracy to commit negligent hunting in the second degree, conspiracy to commit negligent hunting in the third degree, conspiracy to commit negligent hunting fourtth degree and conspiracy to commit illegal sale of game. Eftihios Marnelakis was charged with the following violations: Making false statement, interfering with an officer, illegal transport of deer killed or hit by motor vehicle without a permit, violation of conditions of release, jacklighting deer, failure to report deer kill, negligent hunting in the second degree, negligent hunting in the third degree, negligent hunting in the fourth degree, conspiracy to commit negligent hunting in the second degree, conspiracy to commit negligent hunting in the third degree, conspiracy to commit negligent hunting in the fourth degree and conspiracy to commit illegal sale of game. Parsell was charged with the following violations: Making false statement, interfering with an officer, jacklighting deer, failure to report deer kill, conspiracy to commit negligent huntingin the second degree, conspiracy to commit negligent hunting in the third degree, conspiracy to commit negligent hunting in the fourth degree and conspiracy to commit illegal sale of game. Smith was charged with the following violations: Interfering with an officer, illlegal transport of deer killed by motor vehicle without a permit, conspiracy to commit negligent hunting in the second degree, conspiracy to commit negligent hunting in the third degree, conspiracy to commit negligent hunting in the fourth degree and conspiracy to commit illegal sale of game. All were releasesd after posting a $10,000 cash bond and will appear in Waterbury Superior Court on Jan. 17.